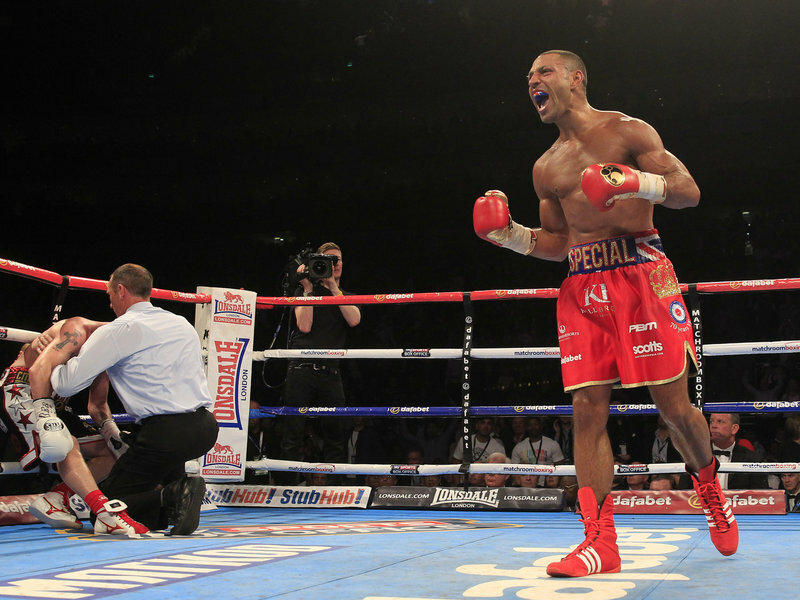 – Kell Brook doing what he was supposed to do, dominating Frankie Gavin before taking him out. What’s in the future for “Special K” and will we ever see Brook vs. Khan? – In the fight of the weekend, Jorge Linares scores a comeback stoppage over Kevin Mitchell. We breakdown this terrific fight. – Lee Selby scores a technical win over Evgeny Gradovich to win a world Featherweight Title. How does Selby compare to the top dawgs in the Featherweight division. – Anthony Joshua destroys and makes easy work of Kevin Johnson. How good is Joshua and is really as good as he looks? – Amir Khan scored a unanimous decision win over Chris Algieri, but could Khan’s win really be considered impressive? – Robert Guerrero vs. Aron Martinez. 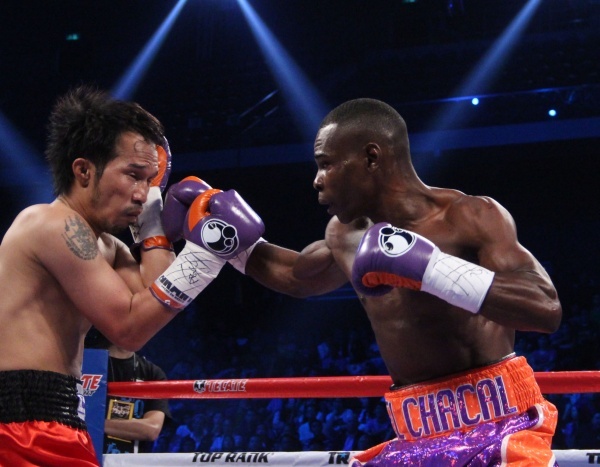 Pound 4 Pound Boxing Report Podcast #52 (7.25.14) – What’s the Future For Rigo? – Guillermo Rigondeaux scored a first round KO over Sod Kokietgym in Macau, but his win leaves us with more questions than answers. What’s the future for the ultra-talented, yet star-crossed Rigo? – Zou Shiming has the best performance of his young career with a decision win over Luis De La Rosa. Is a title shot next up for Shiming? – Gilberto Ramirez destroys Junior Talipeau in one round. Is he as good as he looks, and what’s his potential? – Iron Mike Gallego of Deadspin recently wrote a very hard hitting article detailing some of the out of the ring troubles of Floyd Mayweather, including his history of domestic violence. Was the article on point, was it unfair and went too far? We discuss and give our opinions. – Former Middleweight Champion Sergio Martinez announced this week that he will continue fighting after his stoppage loss to Miguel Cotto. How wise of a decision is this for Martinez? Well, well, well!!! In what was supposed to be a rather mundane week in boxing following Miguel Cotto’s emphatic and career defining win over Sergio Martinez to become the lineal Middleweight champion of the world as well as the festivities of the 2014 International Boxing Hall of Fame (IBHOF). The headline bout of the week was Ruslan Provodnikov making the first defense of his WBO Jr. Welterweight title against number one contender Chris Algieri. It was supposed to be a showcase title defense for Provodnikov, who is building quite a reputation and following within boxing circles. A win and move on to bigger and better things for the “Siberian Rocky”, right? Wrong! Here’s a recap of what went down in boxing. 1. Surprise, Surprise, Surprise – In what was supposed to be a ho-hum title defense for Ruslan Provodnikov turned into possibly the biggest upset so far in 2014 as Chris Algieri defeated Provodnikov by split decision to win the WBO Jr. Welterweight title this past Saturday at the Barclays Center in Brooklyn. A controversial decision to many, Algieri showed all the heart in the world recovering from two knockdowns in round one, and badly swollen right eye. Debate has gone back and forth on to who won this bout. A lot of it depends on what you like in a fight and in a fighter. While Algieri threw more, landed more, and out-boxed Provodnikov for large portions of the bout, Provodnikov landed the bigger and heavier shots, plus knocked down Algieri twice. What has become obvious at this point with Providnikov and it’s his glaring strength and weakness. If you stand there and trade with him you’re in real trouble. However, if you can move, can box, and can take his punch, you can expose Provodnikov and win. One thing is for sure, the debate will continue on as to who won, and I would love to see a rematch. 2. Andrade Did What He Was Supposed To Do – Demetrius Andrade made the first defense of the WBO Jr. Middleweight against mandatory challenger Brian Rose and dominated from jump. This was essentially a bout for Andrade to show as he was clearly the better fighter, showing his vast array of skills. Rose was just the type that would make Andrade look good, and look good is how Andrade looked. Jabs, combinations to the head, body work, power shots, defense, speed, Andrade did what he wanted as he scored two knockdowns en route to a seventh round TKO. Andrade is a fighter to keep an eye on and could be a major player at either 154 or 160 pounds. 3. GGG To Fight Daniel Geale Next, While Shawn Porter Will Next Fight Kell Brook – The announcement of two fights happened last week as WBA Middleweight champion Gennady Golovkin will next fight former IBF Middleweight champion Daniel Geale on July 26 at MSG in New York, while IBF Welterweight champion Shawn Porter will fight mandatory contender Kell Brook on August 9 at Barclays in Brooklyn. While Golovkin is obviously be the favorite against Geale, look for Geale to the stiffest test of his career. Geale can fight and this is the best fighter that Golovkin has faced so far in his career. The upcoming bout between Porter and Brook is a fight I’m really looking forward to. Porter is on a roll, an undefeated fighter coming off of back to back performances, a dominant win over Devon Alexander to win the IBF belt and destroying Paulie Malignaggi in his first title defense. Brook is getting his long overdue title opportunity and is a very talented fighter himself. In the past I’ve spoken very positively of Brook and thought of him as a future world champion and he will at last get his opportunity. However, Porter has been so impressive lately that Brook is gonna to be in very tough. This will be a terrific fight and a fascinating contrast of styles as Porter is a physically strong pressure fighter while Brook is a smooth and skilled boxer-puncher. While there wasn’t a lot of notable bouts last week, that doesn’t mean that a lot didn’t go down. Controversy regard Algieri’s win over Provodnikov and the rise of a potential player in Demetrius Andrade will have folks talking for a while. Plus, the announcement of two good bouts going down later on this summer. “The Sweet Science” has once again shown to always expected the unexpected, and that’s why I will always be a boxing fan. 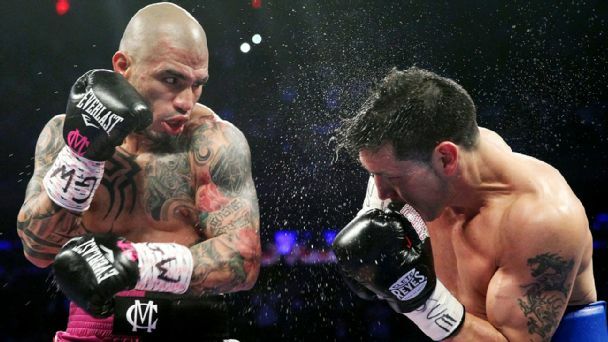 – Miguel Cotto’s destruction of Sergio Martinez. What’s next for Cotto and what does this mean for Cotto’s legacy? – Andy Lee scores possibly the KO of 2014, but struggles nonetheless mightily against John Jackson. – The announcement of Gennady Golovkin is set to return to the ring to fight Daniel Geale on July 26, and Shawn Porter set to fight his mandatory challenger, Kell Brook, on August 9.